Netflix and Scholastic Media announced today they will launch a new original TV series based on the groundbreaking and iconic TV show The Magic School Bus. The all-new CG animated series from Scholastic Media -The Magic School Bus 360° will be a dynamic reimagining of the show that revolutionized kids' television starting in the 1990s. Scholastic Media's Emmy Award-winning creative team, led by Executive Producer Deborah Forte, will produce the new series written for school-aged children. The 26 episodes will launch on Netflix starting in 2016. Here's what producer Scholastic Media President Deborah Forte had to say in a statement. "The Magic School Bus revolutionized kids' television through a unique and powerful blend of entertainment and science information. We're proud that it's become an evergreen show that children and parents continue to watch together. "Our new rendition The Magic School Bus 360° is a similarly compelling addition to the current landscape of children's programming and on Netflix is bound to reach more families around the world than ever before who will now be able to watch the show anytime, anywhere they want."" Ted Sarandos, Chief Content Officer of Netflix, had this to say in his statement. ""Scholastic Media is a powerhouse creator and producer of top-quality programming for kids and families and its flagship series like The Magic School Bus, Clifford the Big Red Dog and Goosebumps have been huge hits on Netflix in all our territories,. 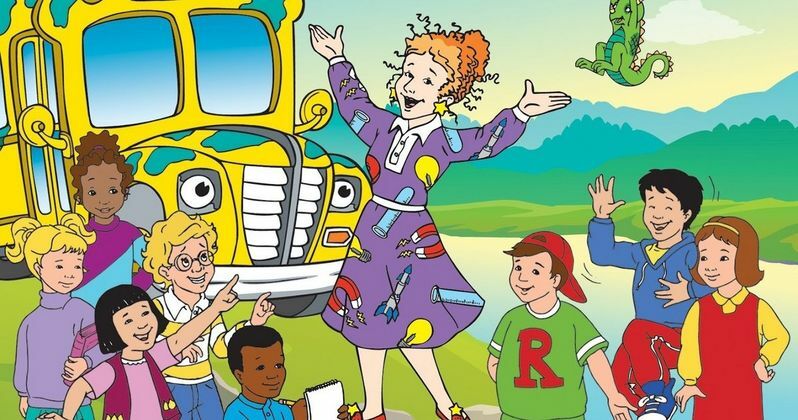 "We're thrilled to expand our relationships and to be the first-run home of The Magic School Bus 360°, introducing a whole new generation to Ms. Frizzle and her hijinks."" The new iteration of the enduring franchise features a modernized Ms. Frizzle and her class along with an inventive high-tech bus that invites children on high-flying hijinks that introduce the incredible world of science. Each new episode promises thrilling discoveries, heart-pounding explorations and relatable humor, while encouraging kids to think critically and creatively to answer questions and solve problems. The series also features the latest tech innovations such as robotics, wearables and camera technology to captivate children's imaginations and motivate their interest in the sciences. The all-new episodes also leverage advancements in animation, science and technology in a way that will delight a new generation of young viewers, and like its predecessor, will help kids around the world discover the magic and value of exploration and innovation. Uniquely aligned with the global emphasis on STEM education, the new Magic School Bus 360° showcases all fields of science, while embracing technology as a creative tool that supports learning and impacts daily life. The series provides an exceptional opportunity for kids to watch, learn and explore science, inspiring them to become active participants in the scientific process through the show's extraordinary adventures and fantastic discoveries. In addition to The Magic School Bus, Forte has created and produced some of the most successful and long-running children's television series, including the Emmy Award-winning Clifford the Big Red Dog, WordGirl, Goosebumps and the upcoming Astroblast™. She leads a talented production team for the new The Magic School Bus 360° that includes award-winning director Chris Gilligan who has worked on family films such as Robots, Ice Age: The Meltdown, Dr. Seuss' Horton Hears a Who, James and the Giant Peach and Frankenweenie. Airing for 18 consecutive years and seen in more than 39 countries, The Magic School Bus is the longest-running kids' science series in history. The standout show has earned more than 100 prestigious awards, including an Emmy Award, Annenberg Award and National Education Association Award. The Magic School Bus has also garnered high praise from parents and educators for making science education fun and appealing to all audiences, with a specific emphasis on those populations historically at risk of "science avoidance," such as girls and minorities. The series was inspired by the bestselling Scholastic books written by Joanna Cole and illustrated by Bruce Degen, with over 85 million books in print worldwide in nine languages. In August 2013, The Magic School Bus (seasons 1-4; all 52 episodes) became available exclusively for SVOD to Netflix members in the U.S., Canada, UK, Ireland, and Latin America. In 2011, The Magic School Bus Bus celebrated its 25th anniversary. For more information on The Magic School Bus, please visit Scholastic.com/MagicSchoolBus.